Article first published in The Daily Express by Camilla Tominey on 4 February 2018. In his first interview after just three weeks in the job, Mr Stewart said he was also considering installing airport-style scanners in the worst 30 prisons and recruiting more ex-military personnel to improve discipline. 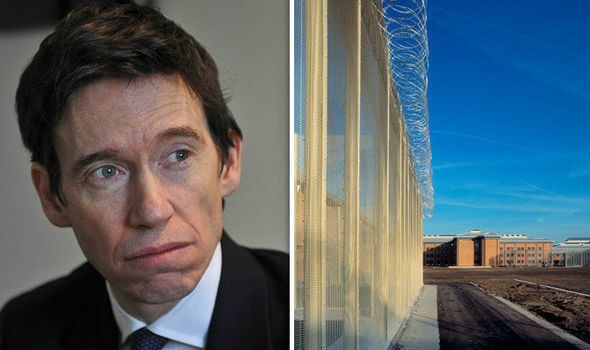 Speaking after an inmate was stabbed to death in Wormwood Scrubs on Wednesday, the old Etonian Tory MP said he would be focusing on “straightforward security” rather than “abstract policy”, saying his priority was “windows, searches and walls”. He insisted suggestions that prisons were “holiday camps” were wide of the mark and said he was “very comfortable with prisons that are run in a very old-fashioned military way”. A damning report on Liverpool prison earlier this month revealed a filthy jail with broken windows and piles of rubbish. There has also been a surge in prison riots in recent months, with the Prison Officers Association complaining about a lack of staff and budgets cut by up to 25 per cent. “When you have broken windows, discipline goes and violence rises,” said Mr Stewart. “In Liverpool, the prisoners have smashed all the windows. They claim it’s because they want fresh air but when you get smashed windows you get drug use going up. “There are a lot of people interested in technology, doing a lot of wonderful work on what you can do to jam a drone, to fire a light at a drone to disable its optical system. “I’m going to start by trying to fix the windows because the drone’s no good if you can’t stick your hand out of the window. Really it’s about getting back to basics. Cleanliness also means so much. You suddenly see that prison officers are more confident and prisoners have a better attitude. Speaking during a tour of a young offenders’ institution in Woolwich, south-east London, Mr Stewart expressed concern that searches are not thorough enough at some prisons. “I think we can do more right on the gate, on entry,” he said. “If it was easy to keep drugs out of prison we wouldn’t have so many drugs in prison but some prisons do better than others. “I want to learn from the high security sector. At Belmarsh they have new types of technology so I’m interested in the type of scanners which you get in an airport which can see if somebody’s put drugs inside their body. Mr Stewart, former chairman of the Commons Defence Committee, served as a second lieutenant in the Black Watch and was posted to Iraq after the 2003 invasion. He said he was looking to recruit more military veterans into the prison service. The Ministry of Justice has already pledged to recruit an extra 2,500 prison officers. “I support encouraging more ex-Army personnel to join the prison service,” he said. Having already visited five jails since he was moved from the Department for International Development in the recent reshuffle, the 45-year-old father-of-two admitted he was facing some “very significant” challenges. “Nearly half the people coming into prisons are functionally illiterate. Seventy per cent have some sort of drug habit. Almost nine out of 10 have some form of mental health issue. Now these people are criminals and we need to protect the public.